Featured in Apple's 'Apps for the Great Outdoors' and 'New and Noteworthy Reference Apps' and in the New York Times! "Finally a real tracking app!!!" "The best tool I've ever used for identifying tracks..."
"Wonderful app, great content, fantastic layout." "I've been waiting for years for a quality tracking app... iTrack Wildlife exceeds all expectations." 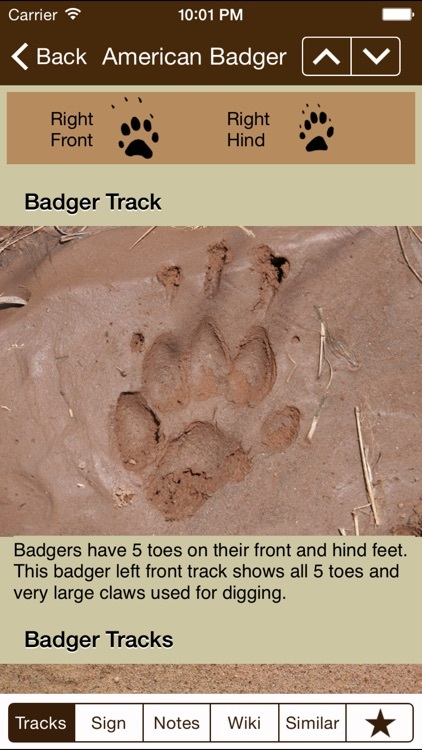 iTrack Wildlife is the most comprehensive digital field guide to animal tracks ever made. Whether you're a naturalist, a hunter, a nature lover, an outdoor enthusiast, or a wildlife biologist, you will find iTrack Wildlife to be a terrific companion on your outdoor adventures. 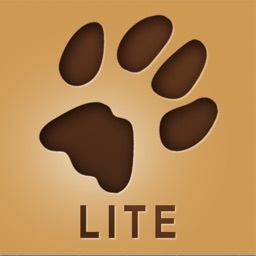 While the simple and intuitive design make this app accessible to the novice, the wealth of accurate information and powerful search tools will appeal to experts and wildlife professionals. 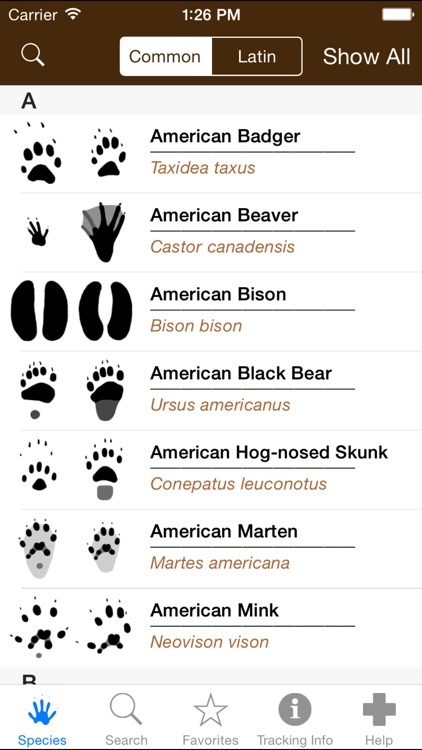 • Track and sign info for 70 common mammals of North America (see full list below). • Over 700 high quality track, sign, and animal photos with detailed captions. 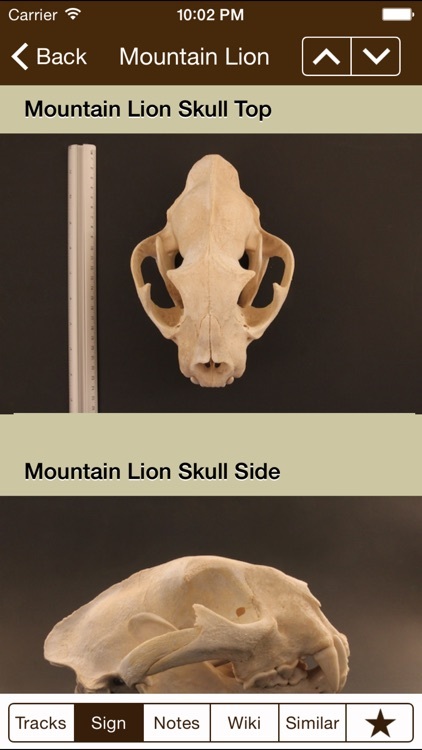 • 120 detailed skull photos for 41 of the species. • Precise front and hind track drawings for every animal. 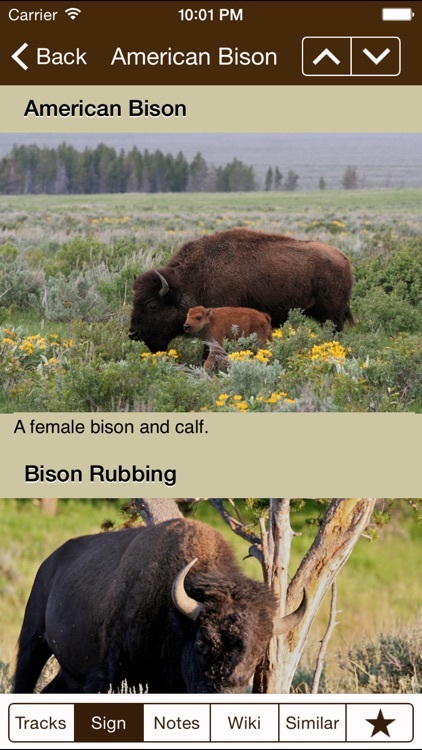 • Detailed track, gait, and similar species descriptions. 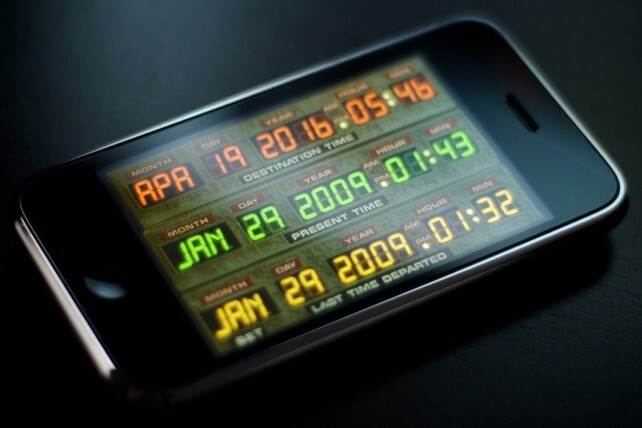 • A beautiful, easy to use interface. 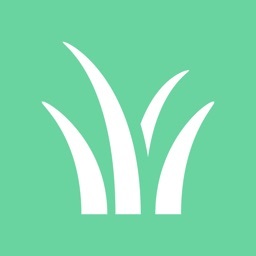 • The ability to zoom, pinch, and swipe between photos. 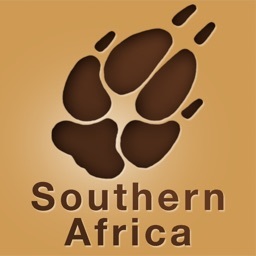 • New in version 1.1 the wikipedia page for each species is now stored in the app to allow viewing with no internet connection! iTrack Wildlife goes far beyond what a traditional field guide can offer with powerful search tools that make track identification easier than ever before. Simply select basic characteristics of a track you want to identify and you will quickly narrow down your search to just a few similar tracks. Then, browse through the photos until you find your track. The app also contains illustrated help guides that offer numerous tracking tips and trick, including: illustrated explanations of gait patterns, measuring tracks, and track anatomy. iTrack Wildlife was created by a professional wildlife biologist and CyberTracker certified Track and Sign Specialist and Evaluator. There are literally hundreds of new and updated apps joining the App Store on a regular basis. Unfortunately, it isn't always possible to cover all of these apps on a timely basis. Therefore, beginning today, AppAdvice will publish daily this column, which we're calling, "Everything We Didn't Cover." Enjoy!